Best Buy Windows & Siding LLC of Sherman, TX has a team of experts with more than 100 years of expertise offering the highest quality home improvement products to Texans. 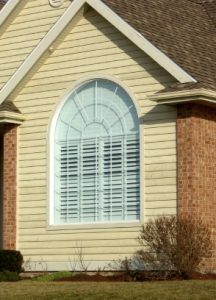 We have been selling and installing custom replacement windows, vinyl siding, and professionally designed patio covers in the North Texas area for more than 30 years. We take pride in knowing that we deliver the best products and highest customer service every time we work with homeowners and businesses throughout the DFW area. The city of Sherman Texas is located at the crossroads of four highways and three rail lines in North Texas, not far from the Oklahoma border. The county seat of Grayson County, Sherman was named for a hero of the Texas Revolution and founded in 1846. When populated by cavalry soldiers and outlaws like Jesse James, Sherman was known as “Helldorado.” Today the The city mixes a quiet residential atmosphere with that of a vacation destination (it is known as the gateway to Lake Texoma) and a college town (home to Austin College). More than 36,000 residents call Sherman home.